Seemingly the easiest to fill with plants, south-facing gardens can also be overwhelming due to the sheer volume of plant material that will grow well there. Choose plants that have showy flowers or those native to prairies, where sun rules and shade is scarce. Growing along roadsides, in open fields and in cultivated flower gardens, black-eyed Susan (Rudbeckia hirta) is a native American wildflower. It grows best in the full sun exposure of a south-facing garden, reaching a height of 2 to 3 feet. Black-eyed Susans bloom from June through August, although many continue blooming well into September. They reseed themselves readily and make an excellent cut flower with a long vase life. Growing from a rhizomatous hand-shaped root, the iris (Iris spp.) thrives in full sun in south-facing garden beds. Irises have long, lance-like leaves and a 2-foot flower stem. The flowers have several large petals held upright and several that flop over. 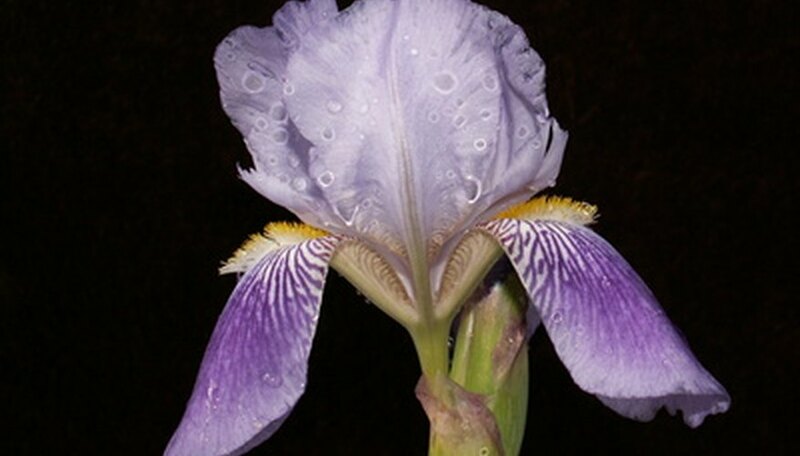 The markings on the downward facing petals resemble a beard and are called “bearded iris.” Plant iris rhizomes just beneath the surface of the soil. Eventually they will need to be dug up and divided; this is best done shortly after they finish blooming in early to mid summer. Most often grown as annuals, poppies (Papavar spp.) are either annuals or short-lived perennials. Prolific reseeders, they send up a rosette of blue-green leaves and a thick flower stalk. The flower petals have an interesting texture that is most often described as “papery.” The most well-known color of the poppy is red, but they also come in scarlet, white, purple, lilac, salmon, pink or peach. Poppies grow best in full sun in any type of soil, as long as it is well drained. Their seed pods resemble small containers and are often used in craft projects.